WZR-HP-AG300H and Build 19154 Release - Is it time for me to upgrade? Re: WZR-HP-AG300H and Build 19154 Release - Is it time for me to upgrade? Right... thats why in your client link list, all the rx/tx link rates are G rated, as davo already pointed out here, you have to use WPA2 personal with AES only, no tkip - no mixed - AES only. I have that set up and I can't get over 130. If I revoot, I'll get 300 for a bit ten it drops back to 130. I don't get it!! what type of wireless adapter do you use in which this is happening? and when i ask type, i mean make/model. Multiple, depends on the laptop. A few are Intel 2230. And you are using the latest drivers for your devices? Also in the properties of the adapters in questions, how do you have them set? There can be all kinds of reasons why your adapters fall back.. Updated drivers. I can see them sometimes at 270-300 but always drop back to 130. One of my computers always stays at 270 so I know it is good. I have them set at 40 or auto based on what option is available. What specific setting? My query got resolved on moving to AES, checknig for stability. 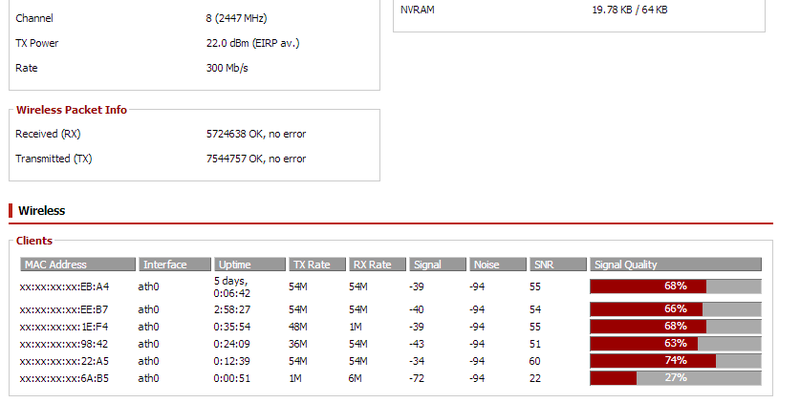 I have a WZR-HP-AG300H with DD-WRT v24SP2-MULTI (06/03/12) std(SVN revision 19154) , downloaded from BuffaloTech. When I start openvpn server daemon?bridge mode) ?i found some problem? 1?my iphone5 can't ?airplay mirror?to my Apple TV?LAN port? ?btw?normal airplay work well but ?airplay mirror?? 3?WZR-HP-AG300H Downgrade to ddwrt 17798 ?downloaded from BuffaloTech? I settle for it isn't as secure as OpenVPN however it's very easy to setup iPhone shoppers etc.